Every year, many students put their studies on hold or drop-out completely. Why? The reasons are, of course, numerous but we keep hearing one excuse: “It just wasn’t my thing.” What then, is the students’ ‘thing’? A given fact is that societies and student bodies are increasingly heterogeneous. This is leading to a rising need for possibilities to customize studies, to make the studies a student’s own cup of tea. Many products and services have long been adjustable and tailor-made for the users. The approach one-size-fits-all does not work with shoes, so why should it work in education? With a growing number of non-traditional students, higher education institutions are facing the need to offer more than just one type of student journey or one measuring stick for evaluating student success. But how to do it? Laurea has already taken great efforts in offering student-centered services, and staff members are doing their best to meet diversified student needs. We are promising to be there to support our students: “We are here for you”, as the service promise goes. In order to have a deeper understanding on students’ specific needs Laurea is taking a holistic and more strategic approach to address the factors affecting student experiences. As part of an Erasmus+ funded project Enhancing Diversity and Inclusion in Higher Education (IDM) Laurea is taking a full spectrum look at diversity among its student population. Each student is different. The HEAD Wheel (Higher Education Awareness for Diversity) provides a full spectrum framework for discussing the variety of student backgrounds and for developing study programmes. A multitude of different demographic, cognitive, disciplinary, functional and institutional backgrounds reflect a need for diversification of and tailoring teaching and learning. Naturally, each student brings in several diversity aspects and depending on the learning context, some aspects are more prominent than others. 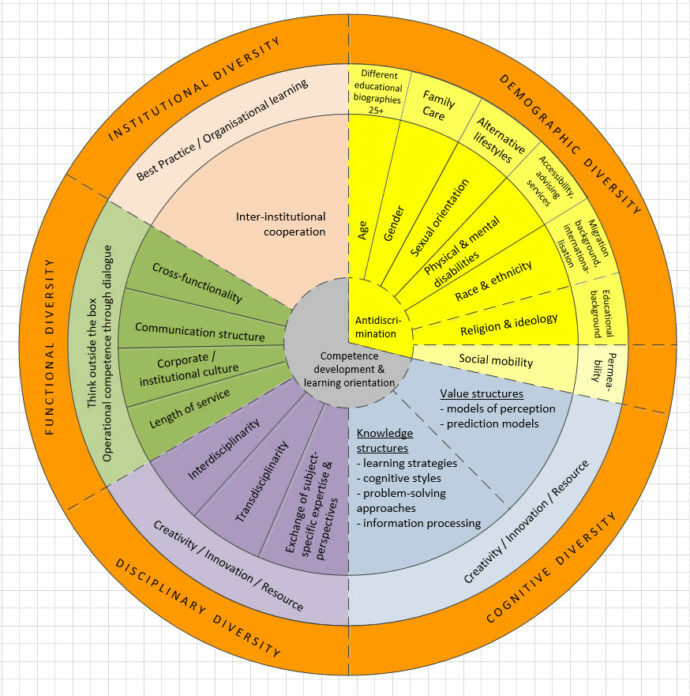 Figure 1: The HEAD Wheel (Higher Education Awareness for Diversity, Gaisch & Aichinger 2017) offers a holistic framework to the variety of students and visualizes the diversity sectors to be tackled in including non-traditional students. The project aims to see differences as a resource and prepare the students for various future working communities. 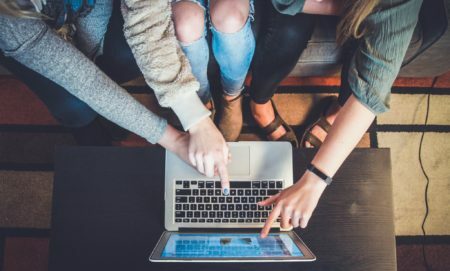 The benefits of inclusive approaches are abundant, starting from staff and student satisfaction to improved institutional brand and reputation. By removing barriers in structures and enhancing inclusion on the programme level, the IDM project is expected to improve students’ study conditions, reduce drop-out and foster student success. Under scrutiny are processes and practices at strategic levels such as in student intake, curriculum planning, curriculum implementation, learning environments, learning enhancement, assessment and feedback practices, and staff engagement. Figure 2: Students sometimes encounter barriers for graduating that are built in the curricula. For example, the lack of fluence in Finnish may make it impossible to find an obligatory placement and become hinder graduation. Drawing by Laurea Master Student Anna Melgin. Two practical objectives result in a training programme and a toolbox for curriculum developers, teachers and other relevant staff members. One specific focus area for Laurea is to examine the cognitive diversities of the students and how drawing on this diversity can benefit all. in order to find the main IDM development areas for the partner universities, an initial survey was carried out. An assessment among the four European partner institutions was conducted in early 2018 on “Inclusive Teaching and Learning Practices” (n=89). The aim was to map the emerging diversity management needs among programme leaders.The survey was also sent to 60 Laurea development managers and staff members responsible for curriculum development, resulting in a response rate of 25% (n=15). When asked about the most relevant dimensions of diversity needs most respondents ranked the working students as number one. Time constraints due to work obligations and commuting were perceived to affect study success. Students’ academic literacy and social or educational origin, i.e. academic writing and critical, structured thinking skills, were mentioned to be a relevant issue as well. In the respondents’ view, proficiency or fluency in the language of tuition was not that much of a problem. A substantial part of Laurea students have several years of work experience even before starting their studies. 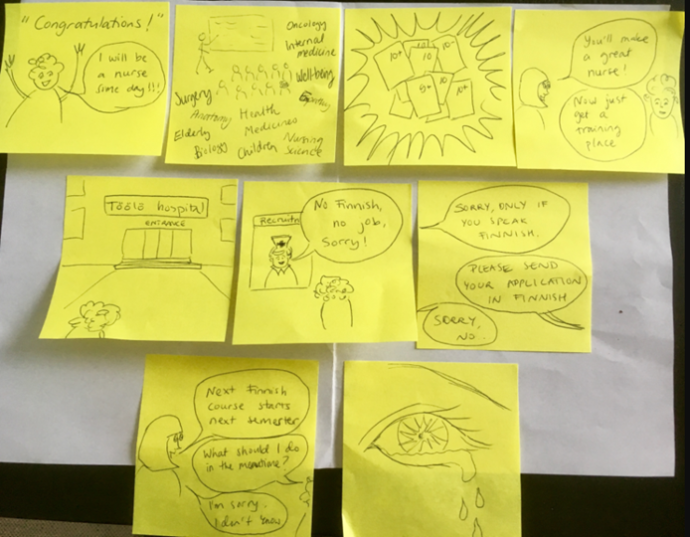 Students’ professional background and care responsibilities may be underestimated or not adequately perceived when planning the study unit implementations. A minority (27%) of Laurea respondents indicated that they have a clear understanding of what an inclusive practice actually means. However, 80% of them are keen to make things as inclusive as possible and consider inclusive practices to benefit all students. None of Laurea respondents were worried that academic standards would drop by catering to learners’ different backgrounds and abilities, which was a greater concern in the other partner universities in Austria, Germany and Great Britain. A third of Laurea respondents does not know how to apply inclusion and manage diversity on programme level. They feel inadequately informed, especially about the legal framework. All but one of the 15 respondents were open to improving their skills and competencies regarding inclusion and diversity management. Figure 3 shows the areas the respondents would mainly want to develop in Laurea, intercultural communication as top priority. Figure 3. Laurea degree coordinators and development managers indicated that they are most interested in further information and/or training in these areas. Cognitive diversity is one good example of student heterogeneity. It means differences people have on understanding and processing information. The particulars are how people remember, think, perceive information, make decisions and solve problems. This can clearly be perceived among Laurea students but is rarely addressed in curriculum planning, let alone when planning study units. Different knowledge and value structures are often connected with cultures. For example, Asian people tend to be more holistic thinkers whereas Western people are often rather analytic thinkers. Cognitive styles affect our ability to understand, organise information or work in groups. Research suggests that cognitive diversity affects decision making more than demographic diversity. Figure 4. Testing effective cross-institutional cooperation. 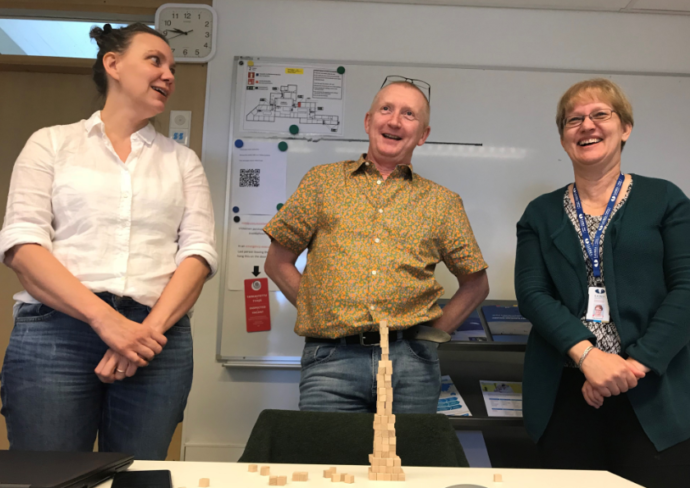 Elke Welp-Park from Upper Austria UAS, Mark O’Hara from Birmingham City University and Kaija Koivusalo from Laurea UAS formed the winning team for the highest wooden cube tower. Currently in Laurea we have one curriculum for each degree programme that the students studying in that degree programme follow. The students have a limited choice of choosing the mode of study that suits them best. Consequently, if the student is not given more than one choice to study a particular topic or study unit, his/her innate cognitive style might not align with that mode of learning. As a result, the study outcomes may be meagre or the student drops out completely. In order to make studying feel like home for students of different walks of life, cognitive diversity should be seen to at various levels. We should start with curriculum planning and design and offer various alternatives for students to choose from when enrolling for a study unit. The personal study plan should hence be more than just enrolling for the core competence studies. For instance, in the current business administration curriculum the student has the freedom to choose 60 credits of complementary competence studies. These studies give some room for seeing to the individual cognitive ability of the student. However, if the study unit is designed as a one-size-fits-all study unit, the student may not have the choice to follow his or her strongest learning style. A culture of of inclusion empowers students to deliver to their full potential. By facilitating inclusion and advancing diversity in thinking and acting Laurea is preparing its students for future work-life demands. And most importantly, with inclusive educational services and practices Laurea is fulfilling the core function of any higher education institution by allowing all students to prosper. Diversity enables acting in a socially responsible way, too. Diversity is a big deal, not just for the student but also for society. Stoyanov, S., K. Jablokow, S.R. Rosas, I.G.J.H. Wopereis and P.A Kirschner. 2017. Concept mapping – An effective method for identifying diversity and congruity in cognitive style. Evaluation and Program Planning, 60., 238-244. Varnum, M., Grossmann, I. & Nisbett, R. 2010. The Origin of Cultural Differences in Cognition: Evidence for the Social Orientation Hypothesis.Current directions in psychological science. 19(1): 9-13.